Sometimes, you've got work to do, and you need hard-working utility and a pickup that you can trust to get the job done. On the other hand, you don't want to sacrifice comfort and convenience in your daily driver. 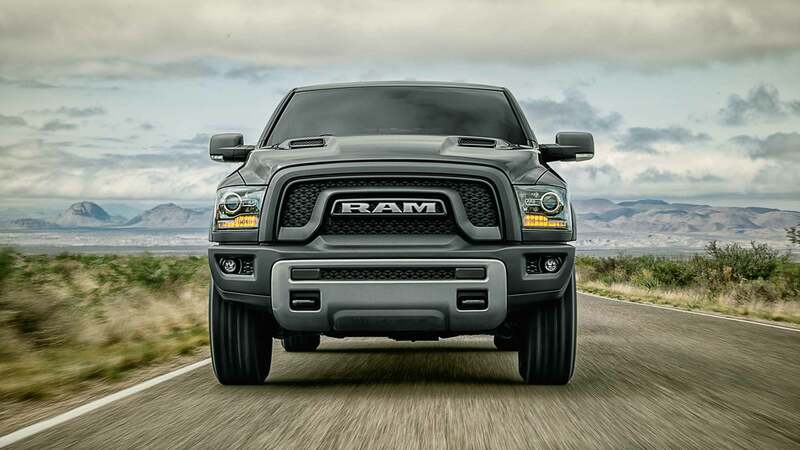 To get the best of both worlds, check out the RAM 1500. In 2018, this tried-and-trusted model offers all of the capability you could ask for in a light-duty pickup, and many standard and available comfort and convenience features to make your every day commutes enjoyable. 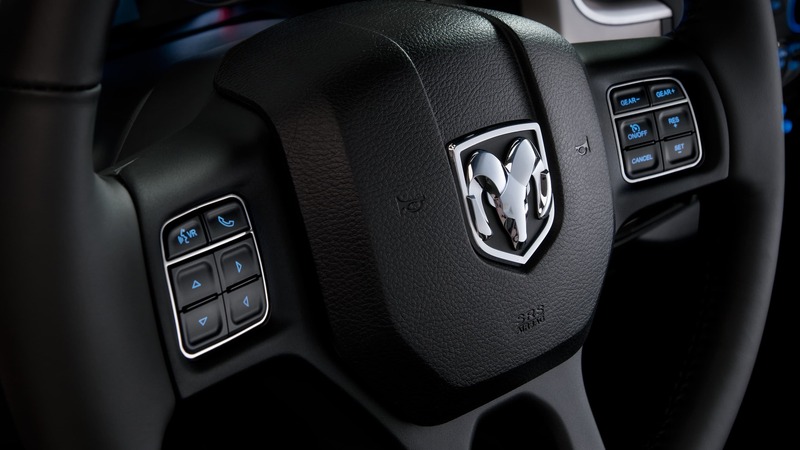 Read on to learn more about this model and decide for yourself whether or not the RAM 1500 could be the perfect pickup for you. What options do I have for the RAM 1500's powertrain? Among the three engine options offered for the 2018 RAM 1500 are two capable gasoline engines and one torque-y EcoDiesel. First up is an award-winning 3.6-liter Pentastar V6, which puts out 305 horsepower and 266 pound-feet of torque. 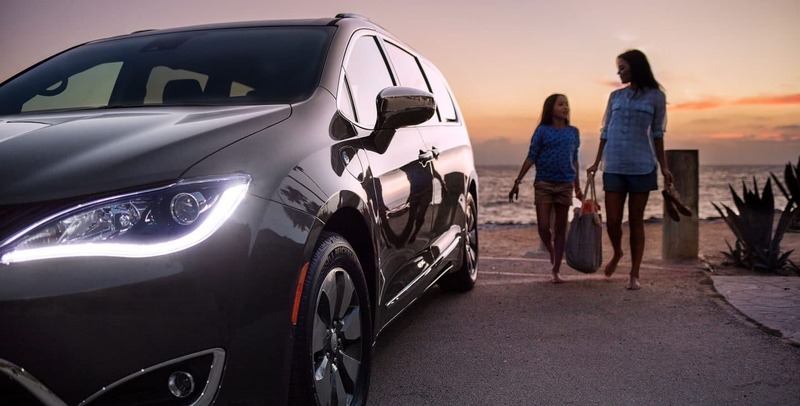 The V6 features Variable Valve Timing and a Thermal Management System, and achieves up to 25 miles per gallon on the highway. Next, a powerful 5.7-liter HEMI V8 produces an impressive 395 horsepower and 410 pound-feet of torque. This HEMI maxes out the 1500's tow capacity at 10,640 pounds. Finally, the 3.0-liter EcoDiesel V6 rounds out the lineup and offers the greatest possible fuel efficiency for the 1500. With 240 horsepower and 420 pound-feet of torque, the EcoDiesel achieves up to 29 miles per gallon! All of the 1500's available engines are paired with an 8-speed TorqueFlite automatic transmission and a best-in-class suspension system. 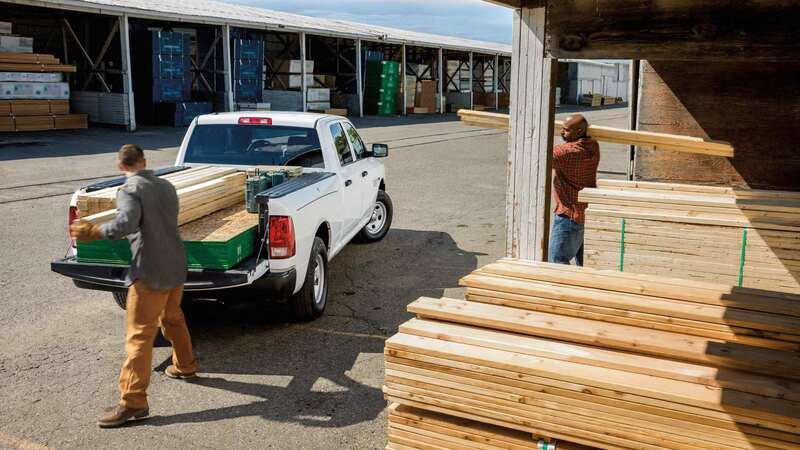 What body styles and bed-lengths are available for the RAM 1500? With three available bed lengths and three available cab sizes, the 2018 RAM 1500 has plenty of room for customization. 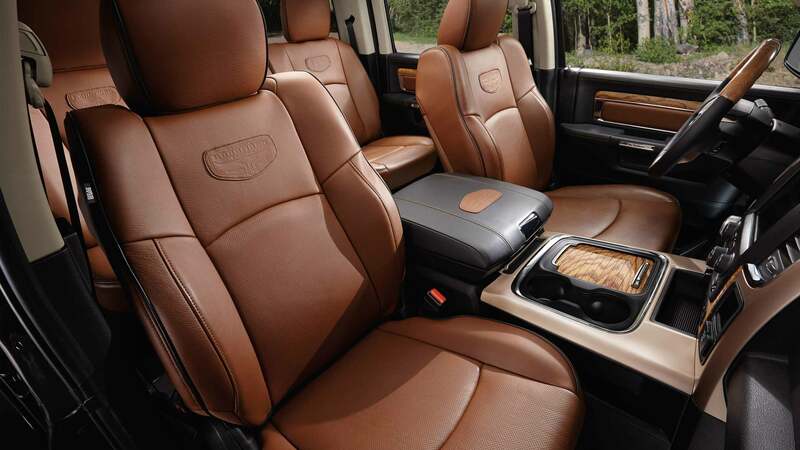 In terms of cabs, a two-door "Regular Cab" is available, as well as a four-door "Quad Cab," which can seat up to six, and an even more spacious "Crew Cab," which features bigger doors and more rear passenger room. For beds, three lengths are available: 8 feet, 6 feet 4 inches, and 5feet 7 inches. Several combinations of cab and bed sizes are available, depending on the trim you select. 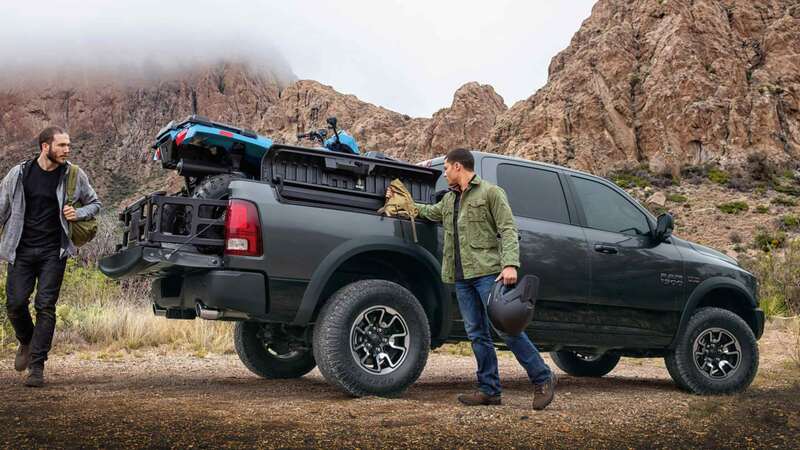 For even more individualization, available exterior features and add-ons include drop-in and spray-in bed liners, LED bed lights, and RAM's exclusive RAM Box lockable in-bed storage system. What trim levels and interior features are available for the 2018 1500? Celebrated for their comfortable interiors, RAM trucks can be counted on to deliver comfort and convenience to driver and passengers. 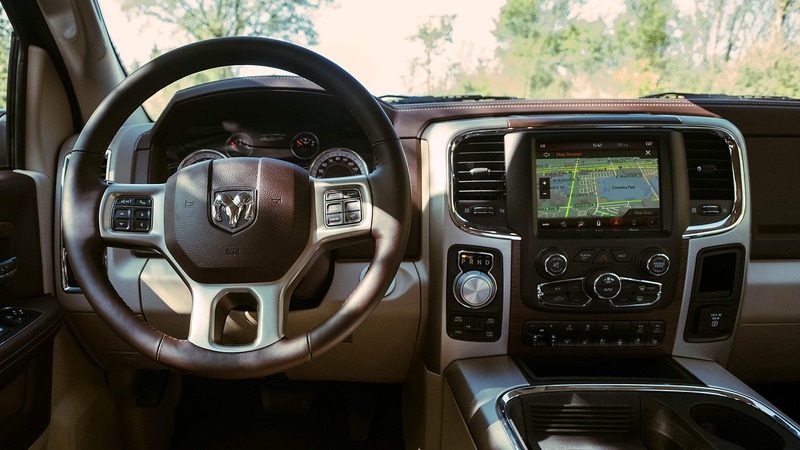 Standard features on the 2018 1500 include USB and auxiliary connectivity, a 5-inch touchscreen, six-speaker audio, a rotary shift knob, and a rearview camera. Advanced tech such as a larger 8.4-inch touchscreen, a 7-inch customizable driver information display, Bluetooth, navigation, HD radio, and Android Auto and Apple CarPlay, are available with higher trims. For the ultimate experience in 1500 luxury, you can choose the Limited Tungsten Special Edition trim, which offers sophisticated interior touches such as real wood trim, leather upholstery, and the most advanced tech offered for the model, as well as a chrome exterior grille. Just because you want a vehicle that can help you get the job done, it doesn't mean that you should have to sacrifice style, comfort, or modern convenience. 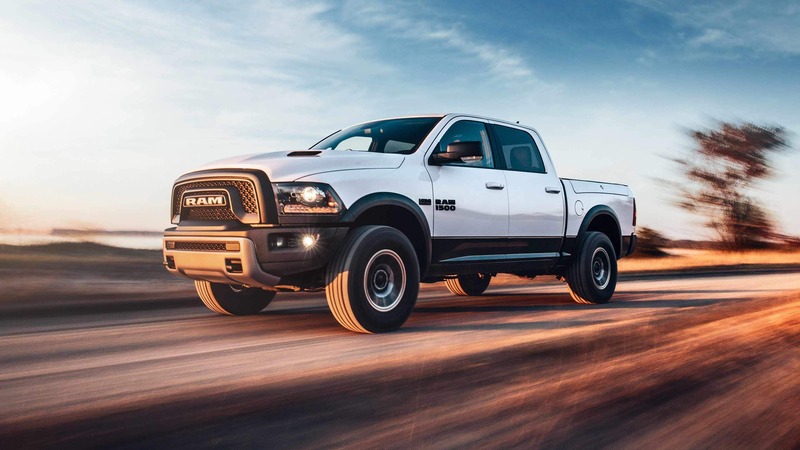 Check out the 2018 RAM 1500 and get everything you need and more. Overall, we'd recommend the 1500 to anyone looking for a reliable light-duty pickup, and hope you'll consider it in your search for a new truck.